I could subhead this post “The Sales Funnel Myth” because I think it is the way we think about a sales funnel which confuses people. People often come to me and ask if I can help them with their networking. And what they will ask about, pretty much every time, is their introduction, their 40 seconds or 60 seconds. People always want to get better at what they do during the meeting as that is where they perceive they can improve their networking. And that’s simple, it really is. I can help anyone present a better 40 seconds which will have people queueing to talk with them, but often that isn’t where the real problem is. I think, and you are welcome to challenge me, that people believe that because we think of the sales funnel as top down, that if you put enough “stuff” in the top, that gravity will take over and sales will magically fall out of the bottom, so to speak. That if you prospect enough, that if you deliver a killer 40 seconds and you get enough people engaged at networking meetings, and those people like what you do, that sales will magically happen. And, as a result, people often end up with loads of collected business cards, or make comments like “I’ve made some really good connections”, but no actual sales. Sound familiar? It’s just not that simple, and it took me far too long to learn this. Years ago I wrote that you have to “First, assemble a crowd“ but once you’ve done that, you have to do some more work, sorry to break it to you. People get caught up in their own stuff. If you’re confident that what you have to offer is of value to them, then it is you who needs to drive sales. People may have loved what you had to say but unless your service is urgent to them (you give people advice about tax inspections, they met you this morning and return to their office to find three besuited, smiling tax inspectors there for example). This doesn’t just apply to business networking but to other forms of prospecting that you might be using, content marketing, email marketing, social media. Once you have started the conversation, it is down to you to drive it forward. 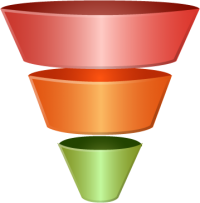 Rethink the sales funnel as if it is laying on it’s side. Now there is no gravity to make it work and you have to either push or pull your enquiries through from the moment they become a prospect right up to the moment they become a sale, or remain a prospect. There is no gravity so you have to become the engine, or the pump, that makes this activity happen. If you’re running your own business, or you’re self employed, you ARE the engine, whether you want to be or not. So if you’re doing nothing right now, that’s one reason why you might not be making sales. There might be other reasons, but if you’re not actively trying to make sales, you won’t even be discovering those. What am I doing to follow up – it is REALLY ok to call people you think could benefit from your services and ask them for another 121 to talk about it. How am I presenting my offering – once you’re talking to people, when and how do you position what you think you have to offer them? Am I actually, really, honestly, asking people for the business – In 2015 it is STILL ok to say to people “shall we go ahead then?”, or “shall I book you in?” or whatever is your routine for closing. 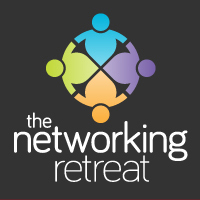 Networking is fun and everyone, almost, becomes your friend. I think that sometimes that kids us that those same people will magically do business with us. They might, but they might not, and it is perfectly fine, acceptable and normal to ask the people that we think should do business with us, if they want to do business with us. Some people will say no, and that’s fine. Some people will say yes. And that’s where you find your clients, and your prospecting suddenly starts to turn into actual sales and actual income.